Altruism (Al-tru-ism) is defined as – The belief and practice of selfless concern for the well-being of others. This reflects Altrua Financial’s approach to service, and it’s why we provide mortgage solutions that place your highest prosperity, and the success of our communities, at the forefront of everything we do. A simple and understandable mortgage process, that saves you more time and more money. Sincere mortgage guidance, options and planning designed to help you become Mortgage Free Sooner. Mortgage-based Financial Planning to help you build wealth and gain better peace of mind. 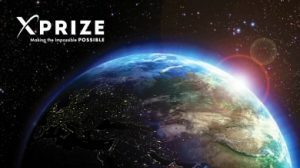 X-Prize is an innovation engine and facilitator of exponential human growth. By funding competitions in areas such as disease, global learning, environmental sustainability, space exploration – thousands of the worlds brightest minds are drawn together to solve some of humanities toughest problems. 100% of donations to Kiva are lent out as microloans to help borrowers, primarily in third world countries, start or grow a business, attend school, access clean energy or realize their potential. By helping people create opportunities for themselves, Kiva is one of the worlds most effective organizations in the fight against poverty. Kiva reports an impressive microloan borrower repayment rate of 97.1%, and loans paid back are then re-lent to a new individual.